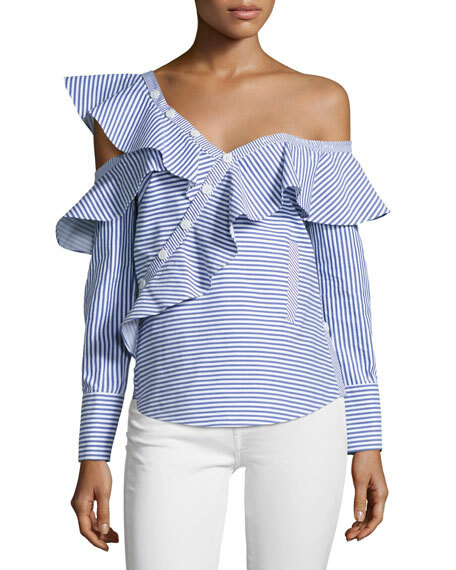 Self-Portrait top in striped shirting fabric with statement ruffle trim. From Look No. 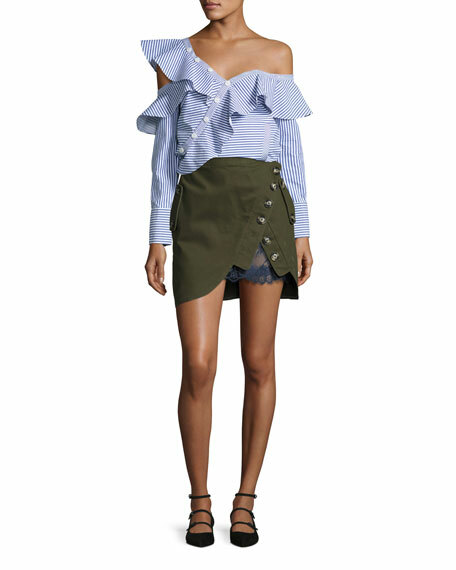 17 of the Spring 2017 Ready-to-Wear Collection. 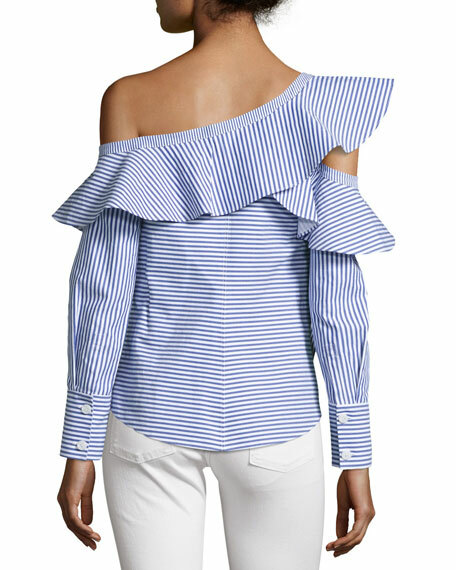 Asymmetric neckline with button placket; off-the-shoulder at left. For in-store inquiries, use sku #2071902.